small German town that is disintegrating from the effects of the plague, which strikes its citizens without warning and defies explanation. finds she must enlist the help of the local priest and a spiritually conflicted monk in order to translate the ancient writings of the historians Herodotus, Thucydides and Procopius, looking for clues to fight the plague. The novel is filled with interesting characters: Greeta’s master and mistress and their twin daughters, a disgraced knight, a young prostitute with bi-colored eyes, a charismatic animal doctor, and a mysterious priest inquisitor. Events unfold rapidly, including a near fatal fight in a tavern, Greeta’s arrest and imprisonment and a trial that leads to the chilling climax. 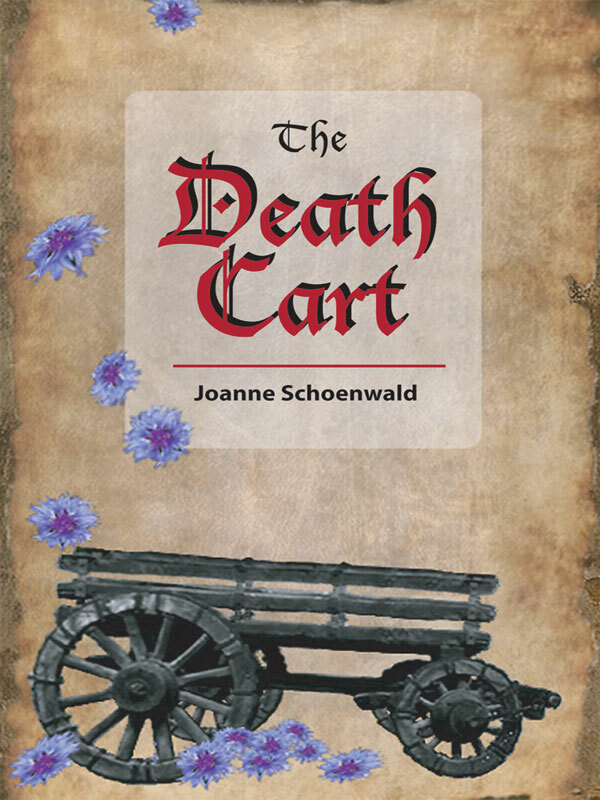 The presence of the death cart is recurrent throughout the novel as a reminder of the tenuous thread that binds the living to the dead. You can purchase the book online from Smashwords in multiple eBook formats at http://www.smashwords.com/books/view/72398.